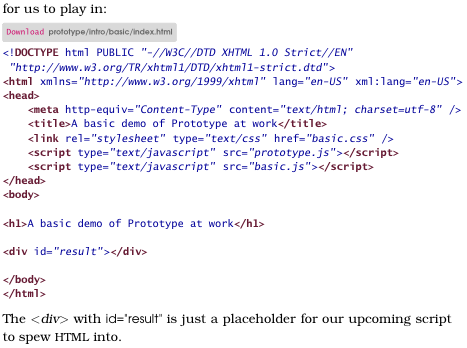 I met Brian Donahue at ALT.NET in Seattle a couple of months back, and earlier this evening he tweeted that he was curious how well code in PDF would display on the Kindle. So I replied and told him I'll try it out and show him the result. The process of converting a PDF to Kindle format is very simple. Since I am at my computer I don't need to send the PDF to my Kindle wirelessly, so I emailed the PDF (5.6MB) to my 'free' Kindle email address: alexhung@free.kindle.com. I received back the converted .azw file (2.6MB) from Amazon within a couple of minutes. I copied it to my SD card, popped it into the Kindle, switched it on, and there it was right at the front page. As you can see the colouring and the code font are gone, obviously, the line-break is off and the download links are gone too but these are to be expected. But overall, I am impressed by the quality of the conversion. The text is properly converted, i.e. not being displayed as a bitmap image. Even the table of content is navigable (it doesn't show up as in the Kindle menu though). 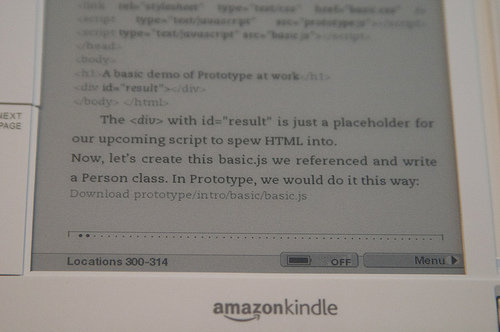 Despite the good quality, I am still not completely convinced the Kindle is a good way to read tech book. Simply because there is always a lot of flipping back and forth when I read tech book, especially reference books, and the Kindle page by page flipping is way too slow. 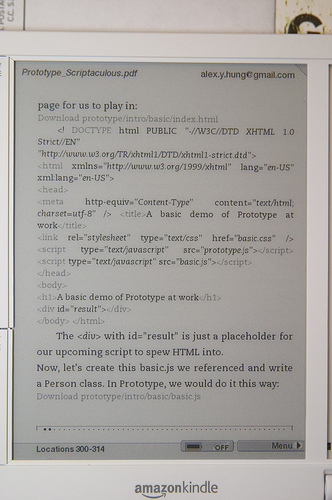 But for regular PDF book, I think the Kindle works just fine. I've sent a number of PDFs, including documents provided by the travel medicine clinic that I scanned into PDFs, beta versions and official PDF versions of Pragmatic Press books, and others.